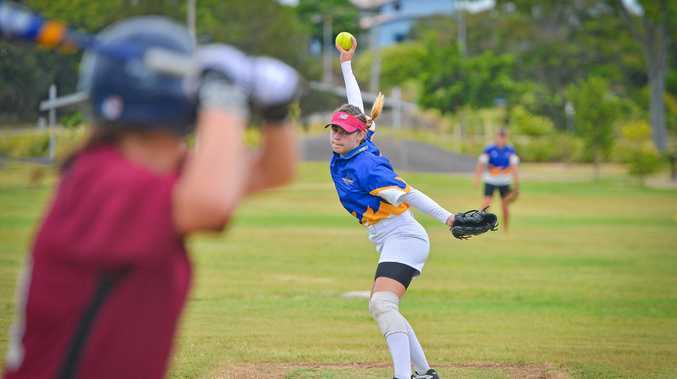 SOFTBALL: Players from four regions played several games in sultry conditions yesterday in an attempt to make the 13-19 years boys and girls Capricornia teams. One of those was Kirsty Lester who was impressive as pitcher for the Port Curtis girl's team. The 12-year-old showed maturity as regular pitcher Chyanne Downing took a break. "I think I just needed to warm up and then I started to pitch well," Kirsty said. 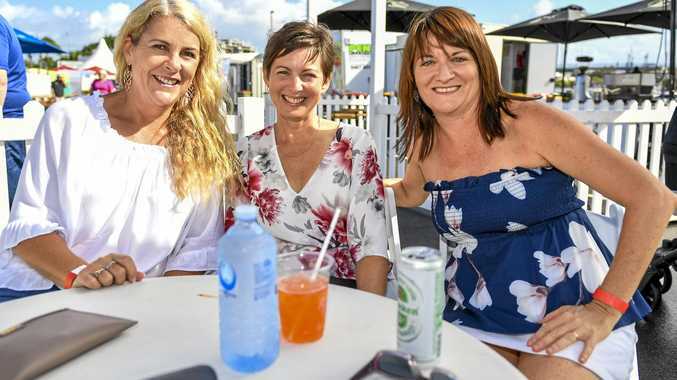 She believes her experience with the undefeated under-12 state team last year will stand her in good stead for a spot in the Capricornia girl's team at the 13-19 state titles in Cairns next month. Kirsty said she will add more strings to her bow once she gets stronger including a curve ball. Lachlan Martin, 15, has two reasons to aim high as he is a level two umpire who hopes to officiate for the girls in Cairns. He has also successfully trialled for the Capricornia boys team that will play in the 13-19 Boy's State Titles from April 27-30 in Brisbane. "I have made the team before and think that I went alright," Lachlan said. That's not bad from someone who has played the sport for just three years. Lachlan said decision making was a crucial part of being an umpire and player. "You need to be performing at your best and there are eight levelsto get to level four which will take a while," Lachlan said.